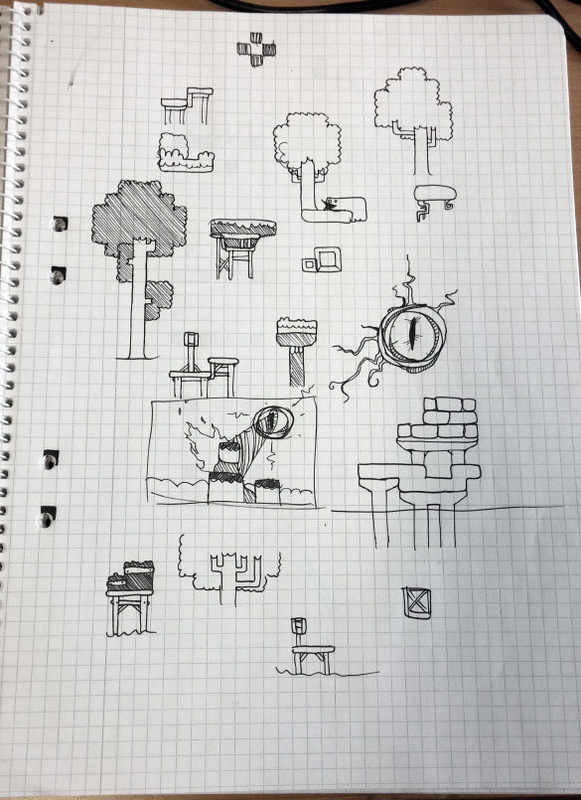 First off, the idea for the game. It basically started more than a year before we actually started working on the game. Around march 2013 I think. Sheldon Ketterer, a good friend of mine, posted an image on a message board of a game he was working on at the time. 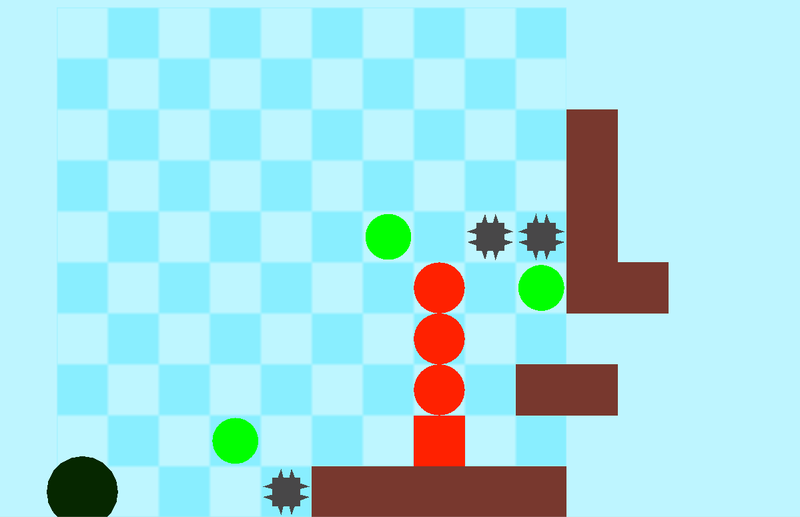 In the end the game was never entered in the competition as I thought the concept had potential and wanted to explore it further, preferably before anyone else, but I also ended up ignoring the theme of the competition and wasn’t sure if that was ok. The prototype also was well received among friends so I had a hunch that it had potential. 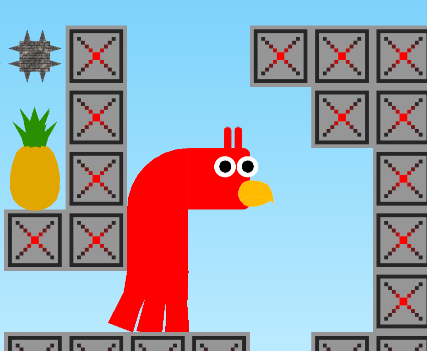 The bird character was carried over from Sheldons game because I really liked how dumb it looked and I guess it stuck throughout the development. Fast forward to early 2014. We had some downtime at Noumenon, a prototype to expand on and we wanted to try out unity. A perfect fit, and the rest is history. The entire art style was based on this image. Only flat colors, no colors allowed for shades. The only exception is the in-game sky in the background which is a gradient. The earliest version of the game we could find. 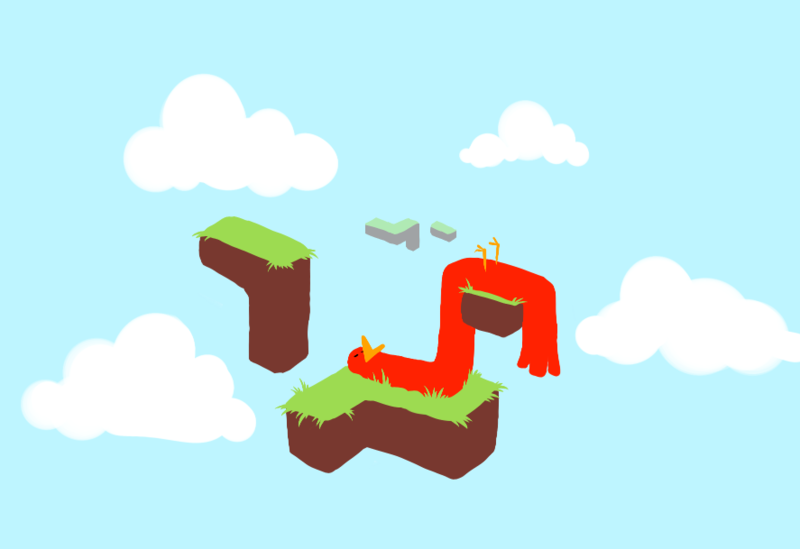 There’s no gravity almost no game logic and the segments are just primitives. 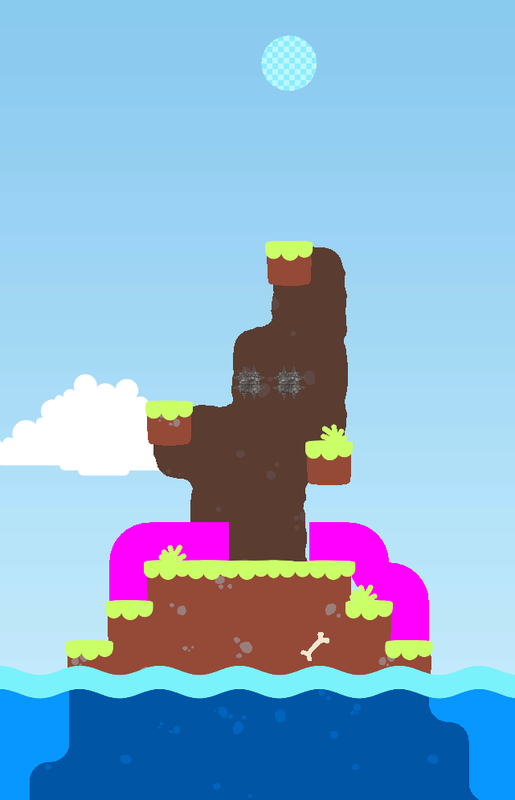 Gravity, fruit and spikes implemented. 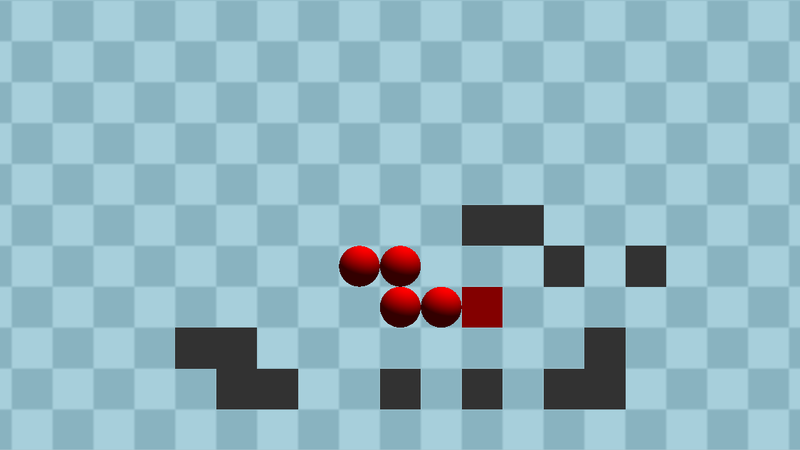 The beginnings of the art style can be seen as well. 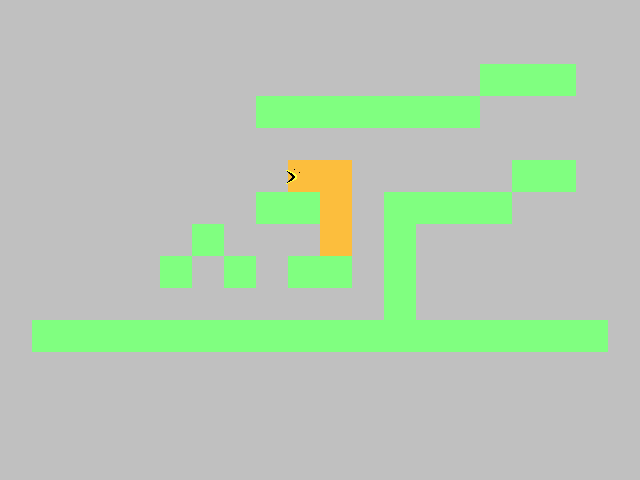 A working level with some early tiles. 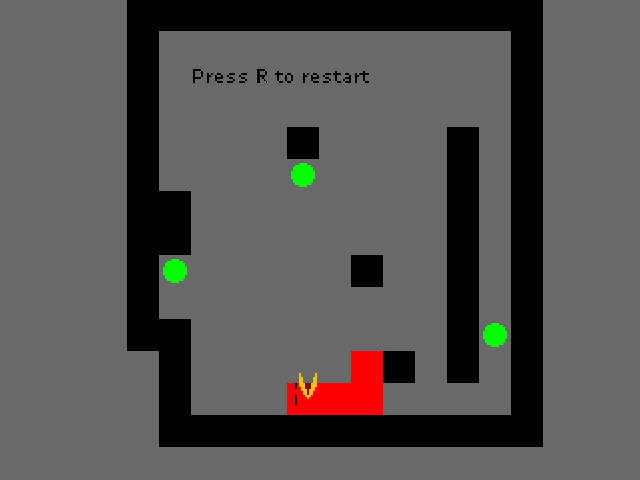 It was the first level I designed for the game and it is still basically the same (level 9). The very first test-version of a bird-face. This one is broken as well and has its animations in a default pose. 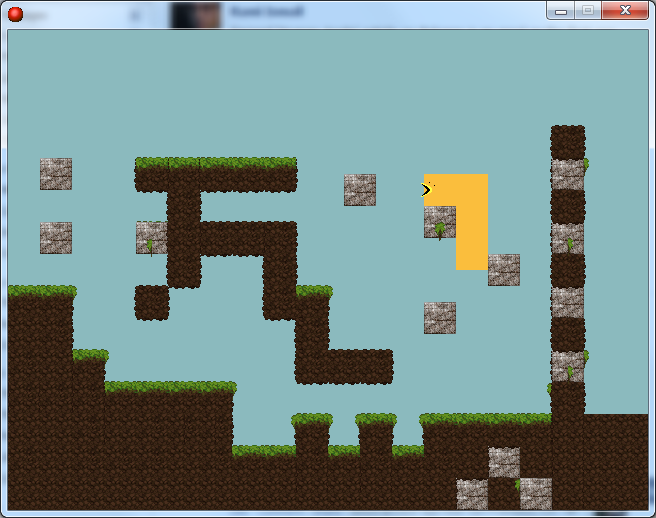 This also show how the levels look before they are tiled. 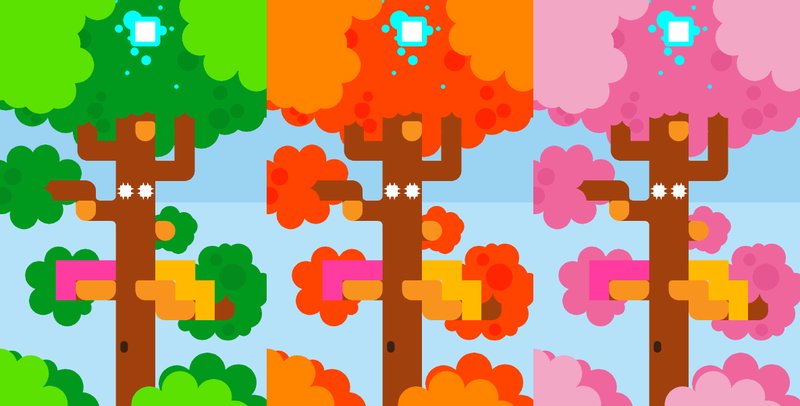 Mockup and color variations of an unused tileset. A picture of the level nodes of the world map with the names of the scenes they load. 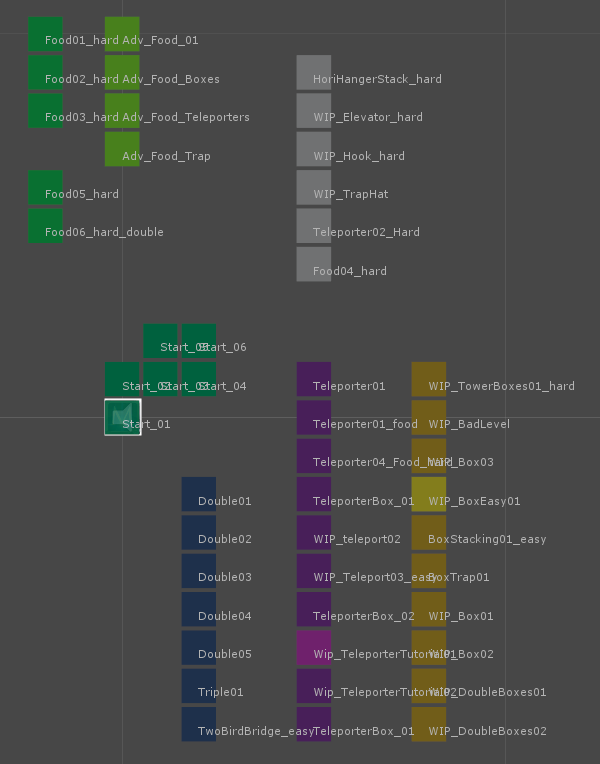 This screenshot is taken from the unity editor before the nodes were properly placed. Nodes placed! Missing are level 0 and 19 as they were not yet made. 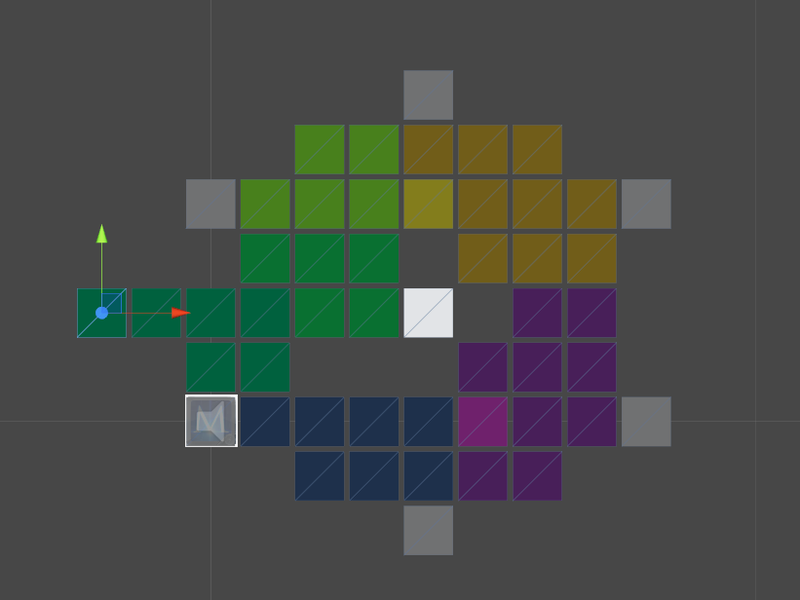 Some art assets added and the level nodes hidden. 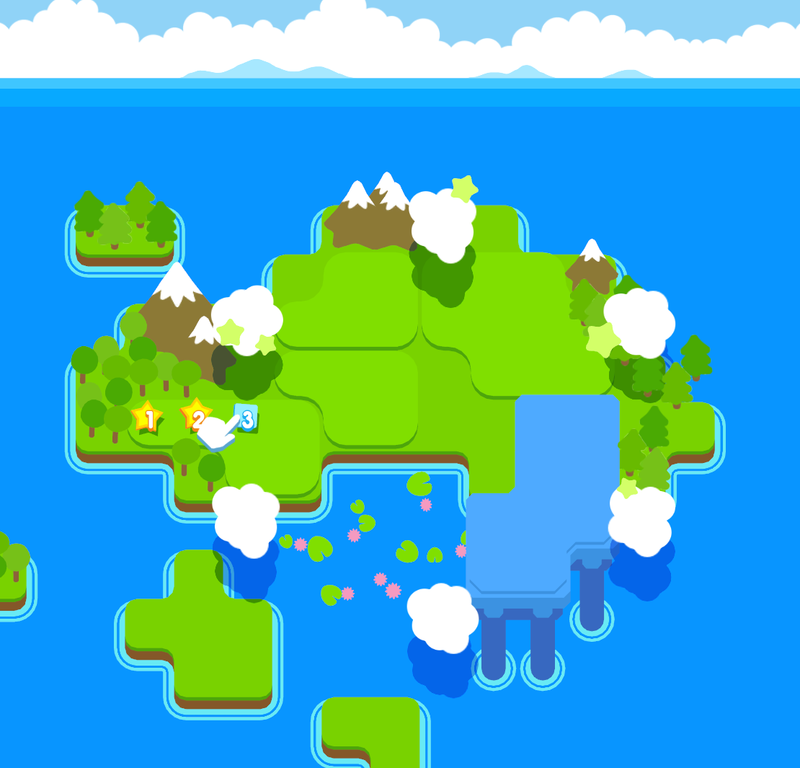 This time the screenshot is taken while the game is running. Sketches! 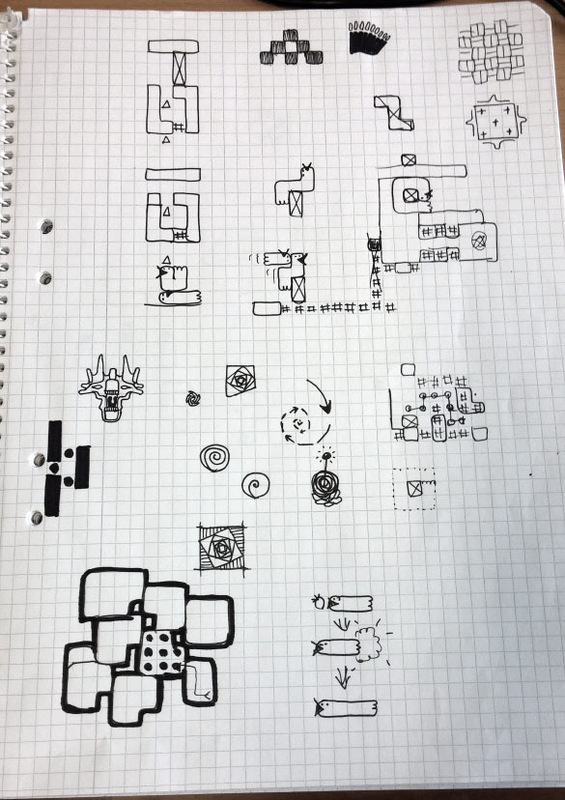 Level and art design and random scribbles. Here’s an album full of that stuff.